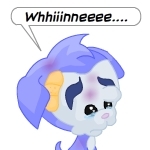 It is often said that home is where the heart is, and if this saying is true, then a vast number of homeless Neopets in Neopia Central could be said to be heartless. A number of Neopets, Judge Hog included, may also make such a comment about Mr. Jennings. They would however be quite wrong; whilst not heartless, he was a man of pure business. He owned a house, of course. It was a fancy little mansion somewhere in the richest area of Neopia Central that had become known as the Hills. However, he rarely spent time there. Instead, Mr. Jennings called his office home. Mr. Black had never seen his employer sleep, though he had often assumed that he must have done so at his desk most nights. It was a small office, by all accounts. It certainly wasn’t the looming and imposing tower that Jennings was constructing in the Docklands. It nestled, almost invisibly, between the buildings in the Marketplace. Many people had passed it without even noticing it. Before Jennings purchased them, the Defenders of Neopia certainly had. The insides, however, were a different story. Jennings had finely panelled the place with varnished wood from near Kiko Lake, and a great desk filled most of one wall. He had imported a lot of rare objects to fill the space, such as chess sets, and a tattered old map of ancient Neopia that hung on the back wall. It was quite intimidating, the first time you saw it. Jennings had designed it that way. He liked people to be on edge; it gave him an edge of his own. The carriage rattled on through the streets towards his home from home, and Jennings considered his next move. The business with Judge Hog and the gold wasn’t a problem. That sort of stuff was always happening. It was after all the Judge’s job to stop crime in the city. Jennings just had to intervene whenever the crime he was stopping happened to be one of his. No, the real problem was the list of names. He held it in his hand, silently calculating his possible moves. Of course, he could have hired someone to deal with it instantly. Jennings himself could perform the task; he had after all been in the Shenkuu army for long enough. But that wasn’t how things happened in Neopia Central. It was a delicate game, and like everyone else, he had to play by the rules. He couldn’t just go around killing people; he’d get a reputation as a murderer. No, he had to do things more discreetly. For that, he needed time. The carriage came to a stop and Mr. Black opened the door. “Thank you,” Jennings said as he climbed down, resting on his cane. A huge brute of a Kougra whose imposing frame put even Mr. Black to shame. He smiled a wicked grin as he noticed Jennings arrive. The Krawk couldn’t help but notice the club he was beating menacingly in his hand. It had always struck Mr. Jennings as curious the way people like Seth Vargo came to power. He had been born in a rough area of the Docklands known as the Old Shambles. Whereas in most of the city, if you took a wrong turning you might end up lost, if you took a wrong turning in the Shambles, you might end up in the hospital. As such, Seth Vargo had learned to think with his fists from an early age. Being a Skeith, he naturally had a certain advantage in size if not speed, and Vargo had used this to his advantage. A local street gang first, and then gradually moving up the chain. But it was not promotion like Jennings had observed back in his days in the Shenkuu army. Vargo had not risen through the ranks of the Docklands underbelly by showing knowledge, obedience, valour or strategic thinking. Mr. Vargo had instead been promoted because he hit people on the head. Such was Mr. Vargo’s skill at hitting people on the head that he eventually became the right hand man of the Neopet who then ran the Docklands. As is the way of these things, Mr. Vargo then hit his employer on the head, and took his position. And there it was, a man with no talent whatsoever for anything aside from hitting people on the head had become one of the major criminal bosses in the city. It was quite a marvel that Mr. Vargo had enough aptitude to employ only muscle that was stupider than he was, thereby avoiding any nasty repetitions of his rise to power. Mr. Vargo had managed to stay at the top of the pile in the Docklands for most of his life. He’d built up a successful construction company that employed most of the workers in the Docklands. Whilst he was generally a respected man, he was also generally a hated man. The respect came mainly out of fear. Those that lived in the Docklands paid him protection money, his own personal tax. If they didn’t... well, everyone knew Mr. Vargo’s main talent. No one wants to be hit on the head. Least of all, Mr. Jennings. It was hardly a surprise therefore that he agreed to follow the Kougra with the menacing club. Mr. Black nervously cracked his knuckles as they walked, but to their surprise they found they did not travel a great distance. The restaurant of Pizzaroo was nestled in the heart of the Neopian Plaza, not far from the Defenders of Neopia Headquarters. Many Neopets dined there daily, and few who were not familiar with the workings of the city would have noticed the corner of the restaurant that was taped off from the rest. It was to that table that Mr. Jennings was shown. The vast yellow Skeith that could only have been Seth Vargo sat in the corner, napkin tucked into his shirt, and at least three plates of food in front of him. Mr. Jennings sat out of politeness. Mr. Black remained standing. Vargo put his fingers to his lips and kissed them in the direction of the kitchen. “No thank you, Mr. Vargo,” Jennings replied. “You would refuse my hospitality?” Vargo asked, the air around him suddenly turning a little frosty. Or want to, he added in his mind. The sight of Vargo dribbling three different kinds of pizza down his front had quite removed his appetite for the foreseeable future. “All good, I hope,” Jennings smiled as he took a sip of the coffee. “Little old me?” Jennings replied innocently. Vargo leaned back in his chair. Jennings could almost see the cogs turning in the fat Skeith’s head. Jennings suppressed the urge to snort into his coffee. “You would refuse my generosity twice in one day?” Vargo asked, the icy air returning to the restaurant, as if such a situation normally ended with someone being hit over the head. Vargo snorted. Stray pizza crumbs ricocheted around the table. Jennings flashed a quick smile before turning to leave. “I think you annoyed him, sir,” Mr. Black whispered as they left. “I would be quite tempted to agree with you, Mr. Black, yes,” Jennings answered. “You wanted to?” Black asked. The two had almost made their way back to the Marketplace. “So what do we do now, sir?” Black asked. “We wait,” Jennings instructed simply. Not a very good idea to juggle those.